Please send an objection to this planning application TODAY using the details and method below. [Friday 5th February is the last day of public consultation for this application] The superimposed drawing on the second photo shows the colours of the intended building, as indicated in the planning application: it's truly repulsive! A while ago, I mentioned (on Facebook) that a planning application is seeking to demolish the only remaining residential houses in our high street. Since looking into both the current building and the planning application, it has become increasingly clear that this will be extremely detrimental to the Worcester Park community and our heritage for a number of reasons (below). 1. The Edwardian villas at 19-21 Central Road are the only remaining original residential properties, which once stretched along one half of the full length of Central Road - they are unique and losing them will be a huge loss to our and future generations' local heritage. 2. These Edwardian villas are excellent examples of their type, with the original structure and internal fittings still in place: According to the last tenants, there were no noted structural issues and inside, the original tiled fireplaces and plaster ceilings were still in place. Historic England (formerly English Heritage) have been notified (by myself, as a resident), and it was confirmed that they had never been informed of this building and have never had the opportunity of assessing its heritage value. [I am submitting a formal request for Historic England’s listing and protection of this building]. 3. 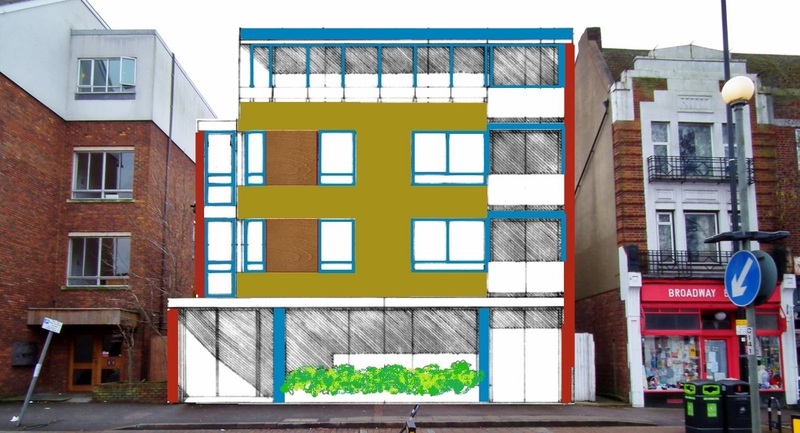 The proposed replacement is, by contrast, truly hideous, being twice the size and with external surfaces consisting of a multitude of clashing colours: brick red, blue/grey, yellow/brown and stained boards. [These colours have been added, following the colour key on the planning application]. Should this awful application be passed, the outcome for the area and the community will be hugely detrimental. 4. Central Road in Worcester Park already has an excess supply of 15-20 retail units at any time, with the recent additions lying empty and unable to find a tenant - it certainly doesn't need more empty retail units. The current building is an office with private rooms leading off a main reception area - this is something we are comparatively short of. The previous tenants and clients liked the environment and found it ideal for an office based business. Offices are reducing at a rapid rate. 5. Returning the building to use as a GP surgery: In just the next few months alone, there will around 500 extra residential family homes within 1 mile of this location and all those 1,500 residents will need a GP. We already have a nationwide, critical shortage of GPs with many local residents struggling to register or get an appointment. 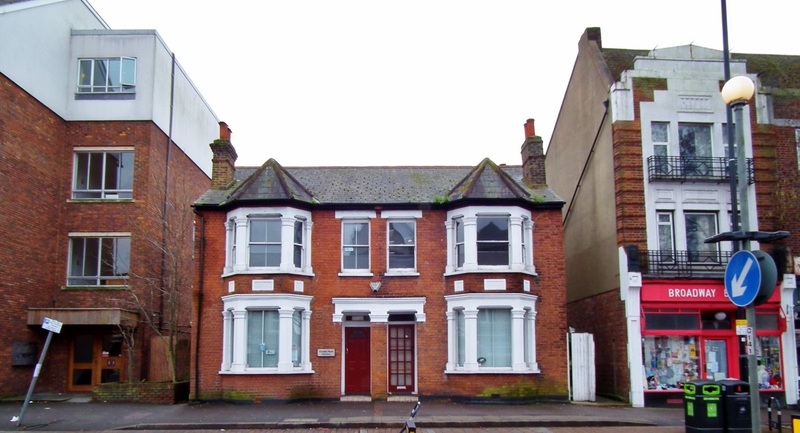 This building was a GP surgery and remains an ideal environment and location to meet this growing excess demand: the layout inside remains as it was then. There are 5,000 extra GPs in training, who will need a location for a practice and the current building is ideal. [NHS Sutton Clinical Commissioning Group have been informed of the details: It surprised me to learn that nobody within Sutton Council or at Councillor level bothers to notify Sutton CCG when buildings ideally suited as GP surgeries become available]. 6. The Edwardian villas were once the GP surgery of Dr. Arthur Belilios, a locally and nationally much respected and esteemed doctor, who taught in the surrounding Boroughs and practiced here. He also authored a number of medical text books. His father, Dr. David Aaron Belilios had been a pioneer, campaigning for access to essential healthcare nationally, for all. To destroy this building would be the destruction of our heritage on many levels. David’s brother was also a doctor, based in Hong Kong. There, a school proudly took the family name. Meanwhile, here in Sutton, the only thing you’ll find on their former surgery is a planning notice to demolish it! 7. In Sutton, we have already lost much of our heritage. The entire Borough has barely 50 buildings listed with Historic England, which compares with well over 100 in Kingston and almost 400 in Epsom & Ewell. In Sutton, within Worcester Park, there is not even a single building listed. Because so much has already gone, this building is especially valuable and well loved.